New materials have been among the greatest achievements of every age and they have been central to the growth, prosperity, security, and quality of life of humans since the beginning of history. It is always new materials that open the door to new technologies, whether they are in civil, chemical, construction, nuclear, aeronautical, agricultural, mechanical, biomedical or electrical engineering. 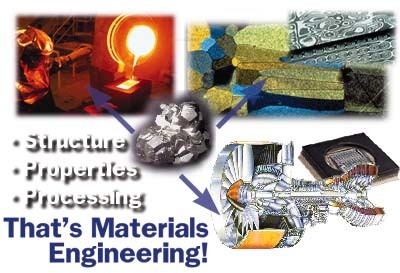 .Aerospace materials are materials, frequently metal alloys, that have either been developed for, or have come to prominence through, their use for aerospace purposes.. Dangerous goods are solids, liquids, or gases that can harm people, other living organisms, property, or the environment. They are often subject to chemical regulations.